Arduino and Intel Developers Can Design IoT Devices in Minutes | Gumstix, Inc.
Arduino and Intel designers can now rapidly design and manufacture small form-factor expansion boards for their wearables, IoT, and robotic devices online, in minutes with Geppetto®. The new Intel® Curie™ Geppetto module will support the Arduino IDE for all Geppetto-built boards. Moreover, as a starting point for what you can build with this new module, Gumstix Gadget Guru has created an Arduino-supported Mini Drone board in Geppetto! 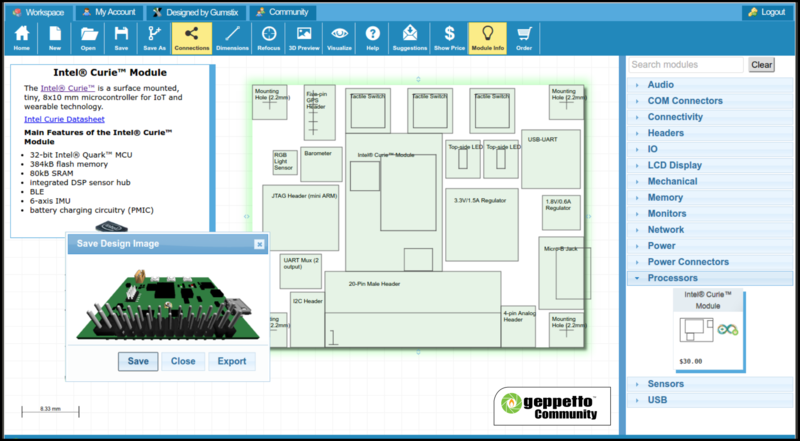 Arduino IDE Support is now available in Geppetto! The board is designed with palm-sized MAVs in mind and includes PWMs, ADCs, on-board barometer, and an expansion header for an optional Pre-GO GPS module. It also includes an RGB light sensor for overhead obstruction detection and is controlled via Bluetooth Low Energy. A tiny Arduino 101 compatible micro-drone controller using the Intel® Curie™. Feel free to copy and customize the design online. The Arduino community now has a simple drag and drop platform to create custom expansion boards. During the design process, users can compare alternatives for features and costs, create multiple projects, and share ideas and go straight from a design to an order in one session. Complete custom board support package (BSPs) and documentation are available with orders. Pre-tested, production quality boards ship to you in 15 business days. 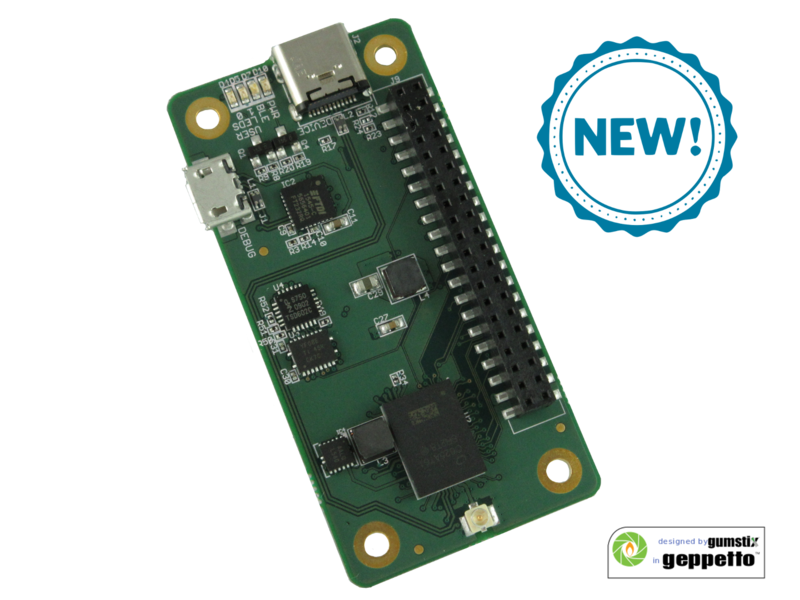 In addition to the Geppetto module release, Gumstix has developed the Radium 96BIEboard! It showcases the features of the Intel® Curie™ module on a tiny 96Boards compliant IoT board. The Curie’s integrated BLE, 6-axis IMU and 32-bit Quark processor makes the Radium a powerful platform for IoT development. Now available in-store. Grab a Radium 96BIE board, or design a board in Geppetto to start creating your Arduino IDE supported project today!